Christine Ladd-Franklin—mathematician, logician, and psychologist—was born in Windsor Connecticut, on December 1, 1847. Her father, Eliphalet Ladd, a prominent merchant, and her mother Augusta Niles Ladd, an early feminist, both came from distinguished families. One great uncle, William Ladd, had founded, in 1828, the American Peace Society, a merger of the Christian pacifist societies of Maine, Massachusetts, New Hampshire and New York, and another, John Milton Niles, was a senator from Connecticut and United States Postmaster General under Martin Van Buren. 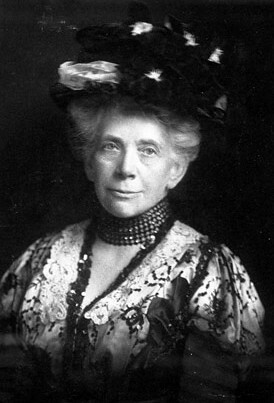 Six of her maternal ancestors were members of the Constitutional Convention of the Colony of Connecticut. "The first specific influence that led me toward serious intellectual pursuits was my mother's character and family circle," Mrs. Ladd-Franklin told an interviewer from The Buffalo Express in April,1918. "My mother was one of four sisters, all of whom were brilliant women. In spite of the fact that they were widely separated by marriage, they would return in the summers to our family home in Windsor, Connecticut, and there led a delightful intellectual life together. Influenced by this atmosphere, accordingly, it is not surprising that when Vassar College was founded, I wanted to go there." Thomas C. Cadwallader and Joyce V. Cadwallader, "Christine Ladd-Franklin (1847-1930)," in Agnes N O'Connell and Nacy Felipe Russo, eds. Women in Psychology: A Bio-biblographic Sourcebook, New York, 1990. Margaret Ladd Franklin, The Case for Woman Suffrage: A Bibliography, New York, 1913. Stanley Finger, Origins of Neuroscience, New York, 1994. 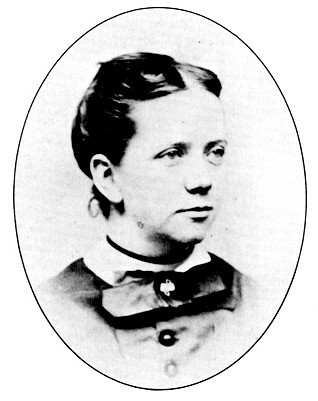 Phebe Mitchell Kendall, Maria Mitchell: Life, Letters, and Journals, Boston, 1896. C. S. Peirce, ed.,Studies in Logic by members of the Johns Hopkins University, Boston, 1883. Scarborough, E. & Furumoto, L., Untold Lives: The first generation of American women psychologists. New York, 1987. "Mrs. Fabian Franklin, Pioneer, Hopkins Alumna, Dies in N.Y.", New York Bureau of The Baltimore Sun, March 5, 1930. I. Susan Russinoff, "The Syllogism's Final Solution," The Bulletin of Symbolic Logic, Vol. 5, No. 4 (Dec., 1999). "Christine Ladd-Franklin," Publisher’s Weekly, March 22, 1930. (unsigned review of first volume of The American Journal of Psychology) Science, Vol. X, no. 250. Eugene Shen, "The Ladd-Franklin Formula in Logic: The Antilogism," Mind, New Series, Vol. 36, No. 141 (Jan., 1927). C. F. Ladd-Franklin, "The Antilogism," Mind, New Series, Vol. 37, No. 148 (Oct., 1928). Vassar Miscellany News, June 15, 1932. Henry W. Burr, "Mrs. Ladd-Franklin, A superwoman in the Fields of Logic and Color Perception," The New York Times, June 24, 1922. Christine Ladd-Franklin, "Women and Letters," The New York Times, December 13, 1921. Christine Ladd-Franklin, "Holding Each Other Up," The New York Times, July 30, 1926. Bruce Bridgeman, (review of R. Stephen Turner, In the Mind's Eye: Vision and the Helmholtz-Hering Controversy), The Quarterly Review of Biology, Vol. 71, No. 1 (Mar., 1996). Christine Ladd's diary, in Vassar's Special Collections Library, may be read online, thanks to Hudson River Vally Heritage.